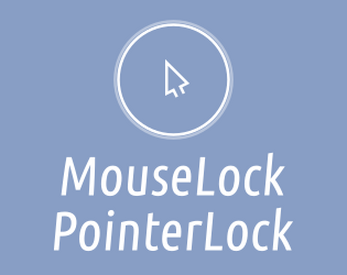 This extension provides a unified API for "mouselock" on desktop platforms and web (HTML5). Foremost intended for making web-based games with camera rotation, but has numerous other uses. mouse_lock(): Locks the mouse cursor at current position. mouse_unlock(): Unlocks the mouse cursor. mouse_lock_update(): Must be called once per frame. Updates mouse_delta_* variables. mouse_is_locked(): Returns whether the mouse is currently locked.